No matter what your responsibilities are on the job, communication skills are essential for communication with clients, customers, and co-workers. And that’s especially true these days, where advanced technologies and complex software packages are often responsible for monitoring operations and keeping businesses solvent. It’s no wonder, therefore, that communication skills are one of the most sought after skills by managers and professionals, who spend hundreds of thousands of dollars on education and training on these skills annually. Still, even after spending exorbitant amounts of time and money learning these skills, when it comes time to make a presentation on the capabilities or outcomes of these resources, most managers and professionals have difficulty communicating. Be a good listener — The best communication begins with a solid understanding of the concerns and needs of the audience. Being an attentive listener is first and foremost your valuable tool in becoming an effective communicator. 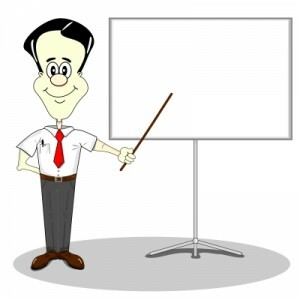 Be natural — When it’s time to make a presentation, many people become stiff, robotic, and boring. Be conversational and relaxed, and you reel in your audience. Eliminate speech fillers — Filling your speech with umm’s, well’s, maybe’s, and you know’s won’t get you the kind of attention you are seeking. Eliminate these speech fillers and you’ll come across much more direct and confident. Establish a connection — Get out from behind the podium and keep your PowerPoint graphics to a minimum. Move around the room, make eye contact, use hand gestures, and acknowledge different people in the audience. Do it in person — While it is convenient to use e-mail and the phone to communicate, try to meet in person whenever possible. Technology takes away the all-important human interaction between two people. Open with a story — Everybody loves a good story. When you open your talk with a story you immediately engage your listener. Then it’s just a matter of weaving in your main points with smooth transitions. Practice till it’s right — The more you present in front of people, the more comfortable you become. And if there’s not an audience in front of you, practice to yourself in front of a mirror. Repetition brings competence.